The business closed in July after operating for nearly 40 years, much to the dismay of locals who loved its chili and expansive beer selection. 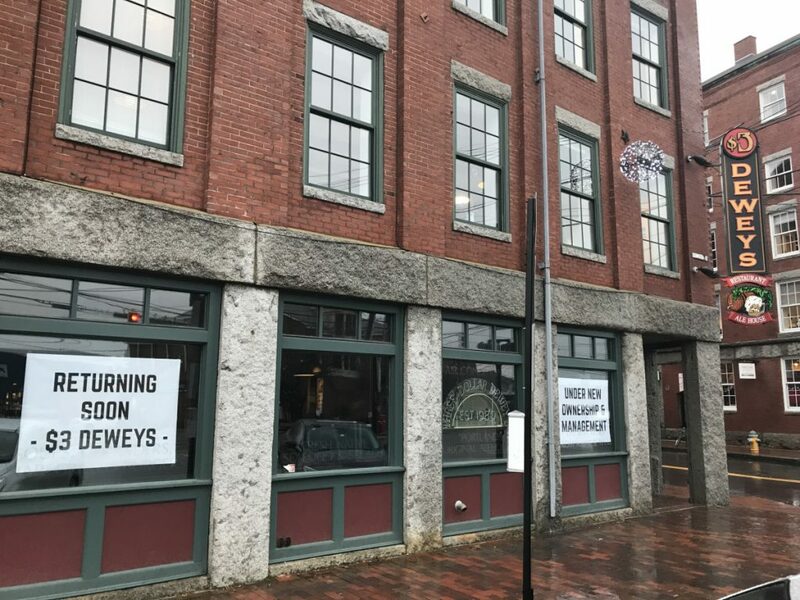 Is Three Dollar Deweys, the pub that was a fixture in Portland’s Old Port for nearly 40 years before closing in late July, about to be resurrected? But who, exactly, may be bringing the place back to life is a mystery. Three Dollar Deweys’ state and local liquor licenses expired Aug. 1, and there are no pending applications for that location, according to the city’s licensing and registration coordinator. The pub was owned by Sandra Marston and Donald Berry of SLM Properties, whose phone number is now out of service. And a call to the building’s leasing agent went straight to voice mail. Deweys was an unusual bar when it opened in 1980 at the corner of Fore and Union streets because it served lots of imported beers that were hard to find at the time. A hangout for locals, Deweys ultimately became the launching pad for Maine’s now-thriving craft beer scene. Its founder, Alan D. Eames, called himself a “beer anthropologist” and wrote books about beer. In his obituary, The New York Times described him as “the Indiana Jones of beer” because he traveled the globe searching for and studying exotic brews. Marston and Berry bought Deweys in 1985, and 10 years later the bar moved to 241 Commercial St. The new location opened with 36 taps, an unheard-of number at the time, and poured both Maine-made microbrews and unfamiliar beers from around the world. Longtime Portland residents loved sampling the little-known brews and eating the pub’s famous chili and free popcorn at its communal tables.